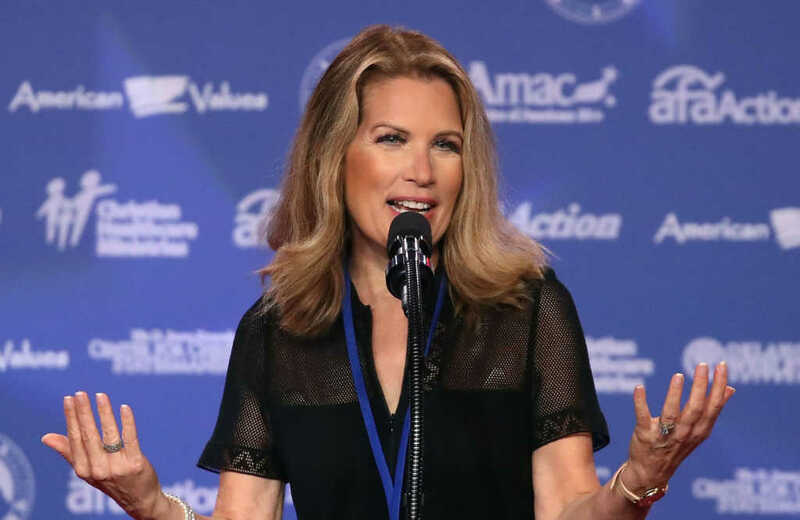 Former Rep. Michele Bachmann (R-Minn.) said recently the U.S. has never seen and will never again see a president “more godly” than the thrice-married reality TV star Donald Trump. Bachmann, who served a stint on the president’s evangelical advisory board, made the bold claim during an interview on “Understanding the Times,” a conservative Christian radio program. Similar to Bachmann, Liberty University President Jerry Falwell, Jr., has been vocal about his support for Trump, despite his own Christian beliefs. Falwell, however, has sought, perhaps to his detriment, to separate the president (and his myriad moral failures) from religion. The Liberty president has famously argued to Christians uncomfortable with Trump that Scripture doesn’t teach believers to elect leaders who will apply Jesus’ teachings in the federal government. It’s a distortion of the teaching of Christ to say Jesus taught love and forgiveness, and therefore, the United States as a nation should be loving and forgiving, and just hand over everything we have to every other part of the world. That’s not what Jesus taught.